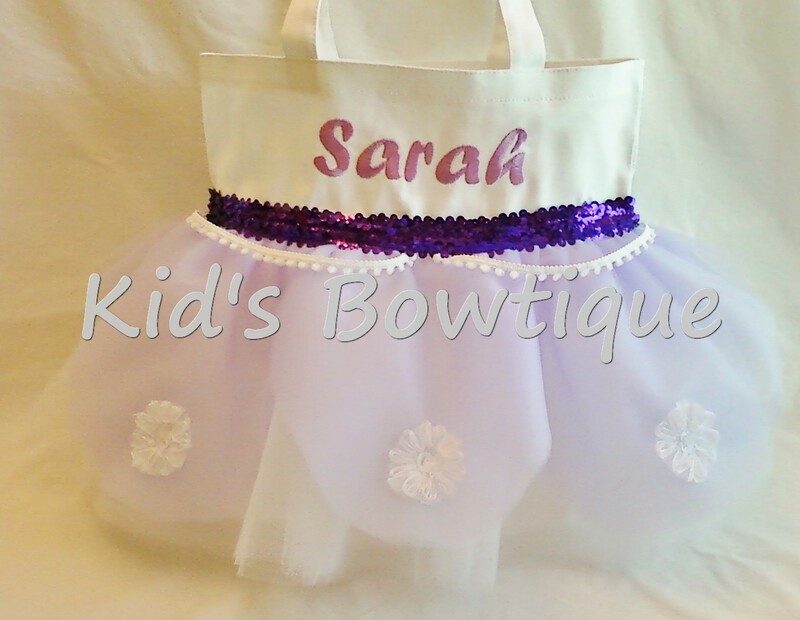 An originally created tutu tote bag that has elegance and grace. Perfect for all the girls who love Disney's Sofia the First. Nice for a bridal shower or baby shower too. Kid's Bowtique designed this unique tutu bag of white canvas for durability, tulle tutu skirt for uniqueness and accented with flowers and trim for dazzle. All accents/trims are sewn to our bags for durability; we do not use glues. Each white canvas bag measures approximately 11X9 (or pick the larger 13X13 size during check out).